I have a secret to tell you. It’s a secret that can improve the lives of every single person who reads this post … writers and non-writers alike. A secret that Chip Kelly would appreciate. Who’s Chip Kelly? He’s a proud, notoriously pithy football coaching wizard who cast a four-year spell on college football with his special brand of offensive alchemy. Kelly conjured up an astounding 46-7 record at the University of Oregon before becoming the head coach of the NFL’s Philadelphia Eagles. The key to Kelly’s success is his “fast break” style of offense. And if the phrase “fast break” seems odd to use in the context of discussing football, it should. It’s a basketball term. Yet Kelly found a way to apply a principle from basketball to the football field by attacking opponents with a quick tempo and an efficient choreography of movement. What does any of this have anything to do with copywriting? Well, I’m going to show you how to apply the principles of copywriting to a place where they might not seem to fit. Some of you reading this don’t have much experience with football. Some of you know nothing about basketball. Some of you might just be starting out as writers. But I know that there’s something you, me, and every other person reading this post has in common: We deal with customer support on a regular basis. Unfortunately, many of these experiences are likely to be less than satisfactory. Many take more time and cause more frustration than they ever should. This is, in part, because many companies are just no good at support. Good customer support is hard. If it were easy, everyone would provide it. But let’s not worry about what we can’t control. Doing so saps us of “energy that could be better spent elsewhere.” Let’s worry about what we can control, which is how we frame our written customer service requests. And this is where we all can benefit from the techniques of effective copywriting. 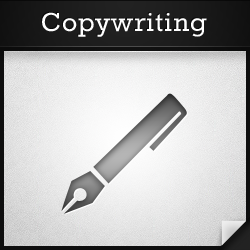 Think about it: Copywriting is designed to get the reader to take a specific action. In other words, it’s simply the art of convincing another person to do something. You have two choices: you can submit your request casually, as if you were emailing a friend or family member … or you can submit tight, clean, persuasive “copy” that gets your request handled immediately and accurately, and that puts you on the unwritten but real ‘Give This Customer’s Future Requests Priority’ List. If you are a serious WordPress site publisher who refuses to trust your web hosting to anyone but the best, you are likely a Synthesis customer. In addition to the optimized performance and lockdown security that we provide, what separates Synthesis from other hosting companies is our customer service. I know this because so many of our customers have told me so, and I know it because I’m in our Help Desk myself providing support every single day. I take great pride in providing excellent support. Our entire team does. And for your benefit, as well as ours, we want to provide this excellent support in the most efficient manner possible. But let’s be frank here: not all customer support requests are created equal. Some are clear, concise, and easy to act on. Others are verbose and downright confusing. Our goal is to solve as many support requests as we can … as quickly as possible. While we eventually get to all requests, and we treat all requestss with the same level of care and concentration, customers who consistently submit clear and easily actionable tickets make it easy to quickly get them what they need. What could this mean for you? The difference between a 20-minute response time and a 3-hour response time. Or the difference between a request that is completed with one reply and a frustrating one that requires days of back-and-forth to solve. And I guarantee you that following three pieces of advice will improve your customer support experience, no matter if it’s web hosting, online banking, gaming, or otherwise. Most help desks will ask you to include a subject line, or a brief description of the issue you are seeking to solve. So write a clear, compelling subject line that works. WTF? My website is having issues! HELP! The first example suggests to me that the request will be frantic, disjointed, and possibly even obtuse. I’ll get to it, but there is no way I’m opening it before I’m opening example two. Just from the subject line of that one, I have a pretty good idea of how to fix the issue. Additionally, the more “keywords” you can use in the subject line the better. Chances are, more than one person is perusing help desks for tickets, and different people have different areas of expertise. The easier it is to route a ticket to the correct person, the quicker the response time is likely to be. Your subject line is the key to your ticket being opened quickly. How you present the details of your request in the body of your message is the key to it getting solved quickly. So be lean about it. And save the stories for the dinner table. Yes, just like Chip Kelly had to modify a basketball strategy for the football field, you have to modify a copywriting strategy for customer support. Stories work great in normal copywriting. They are essential, in fact. But they are anathema to support staff members trying to quickly get to the heart of the issue and the action being requested. For example, it isn’t important that you saw a really cool social sharing feature on your friend’s website … so your developer recommended a plugin … and then you had trouble finding it before downloading, uploading, activating … and then, WTF? … your site whitescreened!!! I activated XYZ plugin and my site whitescreened. And make sure that you do include all of the essential details. If you see a specific error message, include it. If your screen is doing something funky, take a screenshot and send it. Specific to hosting: if you changed any settings, or if you installed or edited any plugins or themes before the issue occurred, say so. Bonus Tip: While we’re on the subject of essential details, be sure to include as much identifying information about yourself and your account as you can. Any time support staff members have to spend looking up your basic info just to know where to start is time they are not troubleshooting. Remember, you’re submitting a customer service request because you want something done. So make sure to request the action clearly and unmistakably. You need to tell your reader exactly what to do … and that you want her to do it right now. Don’t be vague. Granted, you may not know exactly what the problem is when you submit your initial request, but be clear that you are requesting troubleshooting support and include any steps that you have already taken. If you do know exactly what you want the support staff member to do, then say exactly that. Don’t beat around the bush. Don’t assume the person reading your support ticket is going to infer the call to action from context clues. That’s not good copywriting! Be clear in your call to action. And, for good measure, somewhere near the call to action let the support staff member know that you appreciate his or her efforts. But they are just doing their jobs, you might say. True, but if your goal is to get them to do their jobs as quickly and competently as possible for you, a little gratitude can go a long way. Trust me, it’s appreciated at the time, and it’s remembered the next time a ticket is submitted with your name on it. As it is when your calls to actions are clear. As it is when your requests are lean and properly detailed. As it is when your subject line works. So, today we’ve learned that basketball techniques can work on football fields and that copywriting techniques can work in help desks. Who knew? Well, now you do. And you’ll benefit from this post soon, because it won’t be long before you have to submit a customer service request somewhere. And do you know who else can benefit from the tips in the post? Every single person who hasn’t read it. Because needing customer support is universal, as is benefiting from any and all efficiencies that can be added to the process. So please don’t be selfish with your new secrets. Share them. We’re all in this together. Great content Jerod, crafting a good subject line is definitely half the battle. So often it comes back to the headline … in articles, emails, SERPs, support requests, etc. Gotta build that instant impulse and get the click! Couldn’t agree more – not only can a great headline catch the reader’s attention it can also set the tone for the entire piece. I never thought of applying copywriting tactics to my customer support tickets but it makes perfect sense! You need your message to stand out and get attention faster than those around you. I can confirm that it loves you back. I can’t believe I’ve never thought of this before.. but I do tend to use my copywriting skills in other areas! 1) I almost always create a killer headline no matter who I’m writing. 2) Definitely employ ‘persuasive’ techniques to get what I want. I’d say just about all of this would apply to most email communication in general. With just about everyone in the business world expected to use email on a regular basis, the ability to communicate what you need effectively in writing is a skill more and more people are finding important. Change up the examples and introductory paragraphs just a tad and the piece would work just as well for explaining how to write effective professional emails. Great point Kristen. The fundamentals of effective online writing really do span all its many modes. Tip: Avoid grammar mistakes and you’ll gain more Authority. Bill, can you point out this egregious grammar error? Looks like good conversational copy to me, even if there is some technical error. I was wondering the same thing. On the bright side, I do endorse Bill’s capitalization of Authority. After running this past my wife, who knows more grammar rules than I could ever violate, there is no error. Bill gets 15 minutes in the pedantic penalty box. “Pedantic penalty box.” Here we go with another sports analogy! Man, Copyblogger is *really* speaking to me today! I’m gonna go buy all their products! …oh wait, I already own them all. Ha. As someone who has worked in customer support, I wish more customer had copywriting skills. It makes the job a lot simpler and less draining, which means we can get through more requests. So true Hassan! The goal is always to process the greatest number of requests — while balancing exigency — in the time allotted. Understanding where the customer service rep’s situation can really help you craft a request that helps them so they can help you. Brilliant tips thank you ever so much for writing them all out. Of course the biggest beneficiary of good copywriting is the reader. I thought before I read the post I’d already answered your headline. Thank goodness it was a more enthralling read! Thanks Jakk. The components of good copywriting truly are applicable in so many varied places. Proofread your writing or have someone else proofread your writing. Absolutely. Reading out loud is one of the best ways to make sure your tone is right AND that you do not have any egregious errors. Just wanted to voice my STRONG support of the sports analogy, Jerod, in case there was ever a moment in your head when you were thinking: “will this resonate with readers.” At least this one, for SURE. The other lesson I got out of this? The best coaches support their players 100%. The critical media (ie, Bill Harrison) may be quick to point-the-finger… but a good CEO will jump in and call you out. Love it. Mike, thank you! There was indeed a bit of worry bringing a sports analogy here to CB, so I’m quite glad it resonated. And I agree re: CEO support. That’s why Copyblogger is so great to work for. I really liked this article! Plus, I understood the sports analogies… hurrah! Great analogy with the customer service request. Know what you want and ask for it. Same thing with the customer. Know what you want them to do, set the stage and ask them to do it. Awesome post. I love the customer service analogy. You can really help yourself by knowing how to address people properly through writing, and it makes me cringe every time I see something like the first example you posted. Communication, written or verbal, is a must in any field, I’ve found. Great tips! Jerod, Really enjoyed this post. Loved the sports analogy and Kelly’s ‘fast break and choreography of movement’. Don’t get to watch too much American Football this side of the pond, but liked the way you transferred Kelly’s coaching philosophy to to copy writing. Compelling headline. Tight writing. A clear call to action. Your post is particularly useful to me because I write and come from a sporting background. The missing piece of the jigsaw for me was any experience of selling and to be honest, it took me a while to learn the meaning of ‘a call to action’. (Deep intake of breath from all you sales guys/gals out there!) It’s ok. I now understand that copy with no clear call to action is as useful as a chocolate teapot or a colour blind electrician. I quickly learnt the error of my ways but it is still good for me to have this message re-enforced from time to time. As for the alleged ‘grammatical error’, some of our greatest writers have bent or ignored rules, for the sake of writing which flowed and engaged their reader. Great post and whatever I write today, I will bear these points in mind. Thanks. Bending or ignoring grammar rules to make a point or create a purposeful effect is fine. Mark Twain and Winston Churchill were great exemplars in this regard. But when the result looks like we “don’t no no better,” our writing and professional reputation lose authority and trust. We writers mostly do a pretty good job of following spelling rules. Why shouldn’t we be just as careful to follow grammar rules–especially when alternatives grate on the ears of literate readers? @Bill — I didn’t see anything in this article that resembled: “I don’t no no better.” I (and others) seem to feel like you’re being overly critical. Mike, it’s not a huge deal. The sentence I was referring to is this: “Yes, just like Chip Kelly had to modify a basketball strategy for the football field, you have to modify a copywriting strategy for customer support.” Using “like” rather than “as” just seems grating to me and to no particular purpose. Not to be overly critical, my point was simply that I think we professional writers should strive higher than this. Perhaps the reason it stuck out was that the rest of the article was excellent. I won’t beat this horse any further now. Thank you for clarifying, Bill. Cheers. Headlines have always been hardest for me. Great tips! Great article, Brian. Writing skills bring so much to the table. This is great advice, Jerod. Using what you’ve said, I’d like to add a little “extra” advice on how to use copy in customer service letters for even bigger problems… like those that require more than just a simple help ticket message. Like, say… a serious problem with an airline or hotel, an expensive product that’s clearly failed and needs to be replaced, and so on. In those, I also agree that you want to be clear very quickly about the problem. And you want to avoid panic or all caps or hostility — always. But sometimes, in these bigger cases, a little storytelling and a different kind of emotion — explained below — can actually go a long way. For example, I’ve gotten a bit of a reputation among family and friends for being able to get some pretty extreme customer service attention, just by writing a simple letter (or in some cases, using the same techniques in a phone call to customer support). This includes, for instance, writing a letter to Gap about a busted seam on new pants… where they sent me a $200 gift certificate for replacement clothes. This was the early ’90s, so it was many multiples of what I spent. It also includes getting class upgrade vouchers from Delta… a “cc” on a personal “fix this customer’s product” email from the CEO of Canon to his brother in NYC (the email was in Japanese)… and most recently, a room upgrade at a luxury Paris hotel, in which we’ll be staying two weeks from now. I didn’t ask for any of these things… or any special treatment at all… in the letters. All I did was follow the outline I always follow, whenever a problem requiring customer service arises. First, I open politely and pay a legitimate compliment about the product or service. Just a line. And I make sure it’s true. Then I let loose another line of emotion, usually some combo of the anticipation I had for using the product… plus my disappointment when the product promise was broken. Again, only a line and nothing melodramatic. Just enough to let them know they let me down… and here’s where you want to get specific (and be clear) about how the product has malfunctioned. If need be, I might throw in a little story — again, a line or two at most — about the consequences of the product failure. Just enough to let them know that when products don’t work as promised, it’s often leads to a bigger inconvenience than imagined, e.g. a busted camera meant lost baby pictures… a busted screen meant 8-hours of flight misery for tired parents… etc. And then I close by clearly repeating what I hope to have happen or at least asking them how we could fix the problem together. And I provide them a couple ways to contact me to let me know. The goal is, yes, to make them feel like they messed up… but always in the context that they’ve got the power to make things right again. I make it clear that I know they’re capable of doing better. I even finish by thanking them advance for doing just that. And most of the time, they come through. Just thought you and your readers might find that useful. Thanks again for a good piece. P.S. By the way, in 20 years of writing copy, I’ve found lots of ways it can come in handy even for the non-writer. Personal relationships, storytelling, emails with colleagues, raising kids, meeting people… in so many scenarios. There’s probably a book that could be written on the subject. Or maybe it’s been written already. John, such a great point! The effectiveness and relevancy of storytelling is situation-based. For a web hosting problem, where stories rarely lead to greater understanding or quicker problem solving, getting right down to brass tacks is the best policy. But for a more human issue, like the ones you’ve described, storytelling can definitely be effective. I appreciate your article. Thanks for your contribution. However, I am afraid the article has been written from an American point of view. That point of view will not sell, say, in countries that have a high context culture. America has a low context culture, so you are spot on with your ideas. However, most people do not understand nor play American football, basketball and soccer; they are not familiar with sports analogies and terms. I have to wonder how hard you would have to try if you step out of your comfort zone and travel the world. Probably, it would take some doing to adapt to the mores and nuances of other cultures and societies, what? Nevertheless, a good effort from one point of view. A useful post with a different perspective. Having worked as an online customer care rep. I can absolutely relate with what you’ve mentioned.